Posted by Mrs Weird Scientist in Brain Power, Easy As Pie, Human Body. 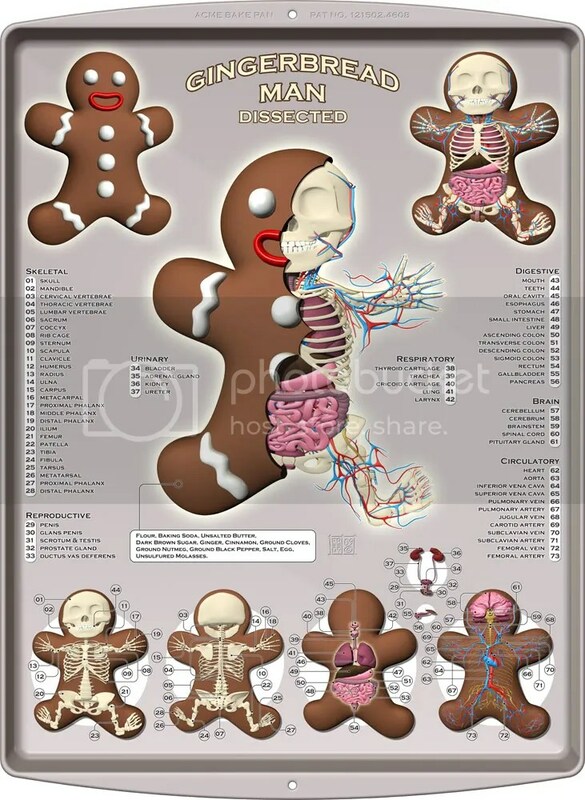 At first glance, I was actually a bit creeped out to see a favorite cookie of mine dissected to show the innards of a human! But this super cool image is the creation of an artist, illustrator and self-proclaimed “crazy person” named Jason Freeny. Now, I only wish my high school textbooks had pictures like this way back when I was in school. Well, not that way back. I wonder if this particular gingerbread man has a few gray hairs hiding under his sugary, baked crust. Wow it kinda makes me think before i go eating another ginger bread cookie ha ha ha. Really amazing and freaky stuffgreat artist by the way and it shows a great illustartion of the one the only amazing:Human Body.